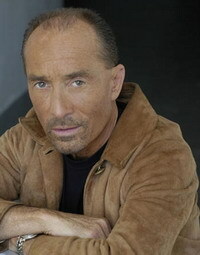 Country music singer Lee Greenwood refused to take part in concert honoring veterans, police and firefighters in a dispute over his payment. Greenwood's manager, Jerry Bentley, said the organizer of Saturday's concert came up with only half of the $20,000 (14,311 EUR) in cash or cashier's check required by the contract. "In (Greenwood's) eyes, it's no slam or anything against veterans or policemen or firemen or any of those people," Bentley said Wednesday. "It's just a business arrangement, and somebody didn't uphold their end of the bargain." Bentley said the organizer, Frank Young, had paid $10,000 (7,155 EUR) in advance but offered only $2,000 (1,431 EUR) in cash and a $2,000 (1,431 EUR) personal check on the day of the show. Young did not immediately return a call to The Associated Press. He told The Denver Post in Wednesday's editions he had wired $14,000 (10,018 EUR) in advance and had $4,000 (2,862 EUR) in cash and a $2,000 (€1,431) check from the Knights of Columbus at the time of the show. Greenwood was "really disappointed" by what happened, Bentley said. Greenwood and most other performers insist on cash or cashier's checks because they have been burned by worthless personal checks, Bentley said. He said Greenwood continues to support military, veterans and first responders with donations of money and time, including USO tours and a July concert for a Vietnam veterans group where he charged no fee. "I don't have to defend what Lee has done to support the military or the veterans organizations as a whole," he said. Bentley said a lawsuit was not likely because legal fees would be more than the amount in dispute. The cash Young paid in advance remains in escrow, he said. Greenwood was the headliner for a concert that followed the "Colorado State Parade of Honor" in downtown Denver. Concert tickets were $20 (14 EUR), and about 850 people showed up at Teikyo Loretto Heights Theater, theater manager Ron Maranian said. Jeff Alumbaugh, who was in the audience, said Young broke down in tears when he went on stage to explain why Greenwood would not perform. When Young offered refunds, "the entire crowd said no, which says a lot about the crowd," Alumbaugh said. Kia Ritland said she and others in the audience could not believe what happened. The crowd joined hands and sang Irving Berlin's "God Bless America." "I don't ever want to hear another song of his," she said. "I had bought two of his CDs for this occasion because I loved the man. I'm going to either burn those CDs or send them back to him."